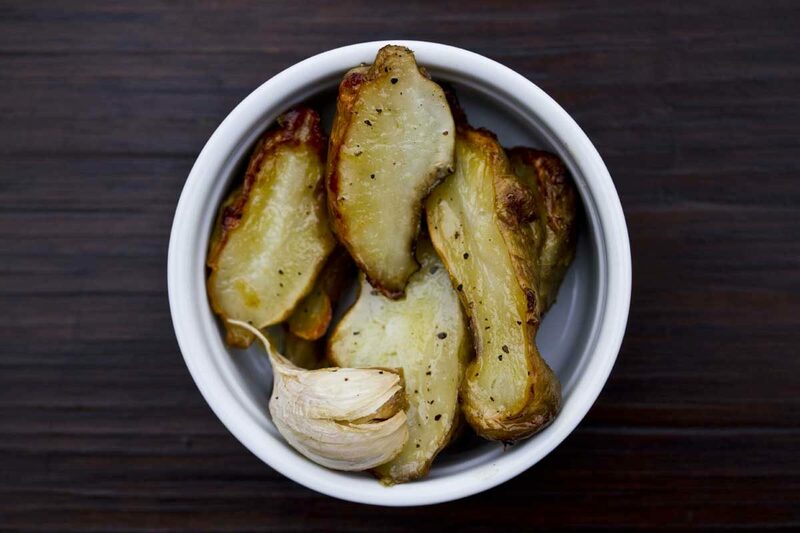 Roasting sunchokes (aka Jerusalem artichokes) is easy, and they’re a delicious alternative to roasted potatoes. Rinse the sunchokes and scrub off any dirt that might be clinging to them (particularly around where the nodules branch off). Slice the sunchokes in half. Coat them with olive oil, salt and pepper. 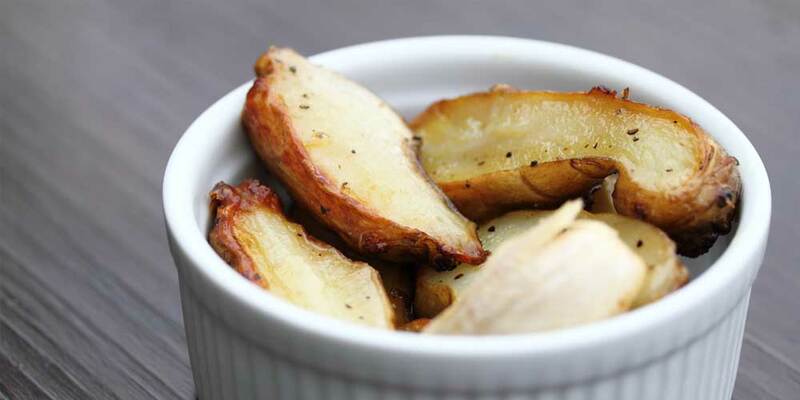 Place them in a small baking dish with the garlic clove. Roast them in the oven until tender (about 45 minutes).